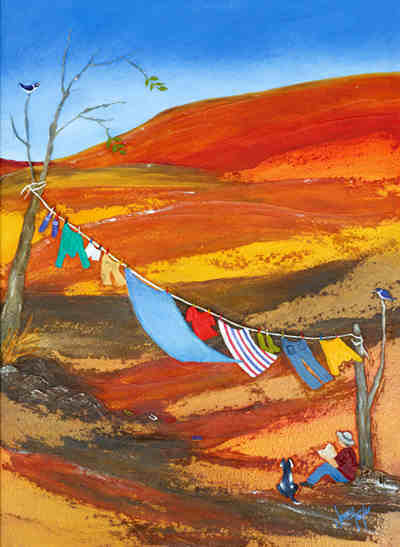 Adding humour to the colours of the North West of Western Australia with another of Jenny's washing line series. Available in 2 mounted sizes. Larger sizes available to order.